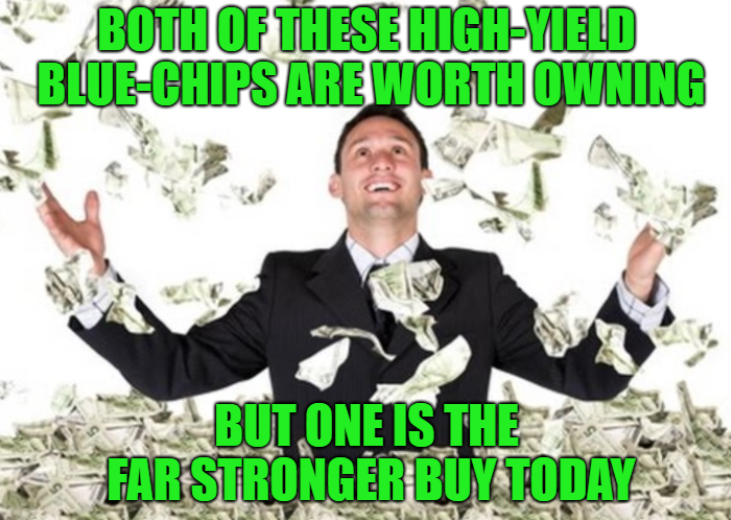 Both Chevron and Exxon are time tested high-yield blue chips and dividend aristocrats worth owning. But today just one is a strong buy worthy of your portfolio. The worst correction in a decade has left many Grade A blue-chip dividend stocks trading at attractive valuations, even after a 14% market rally. Oil stocks in particular have been hit hard, thanks to a 2-month, 45% oil crash. Exxon Mobil and Chevron are two high-quality dividend aristocrats that are well worth owning, at the right price. Today Exxon is about 21% undervalued while Chevron is trading closer to fair value, meaning Exxon is likely to deliver better long-term total returns. But as with all companies, there are some important risks investors have to be comfortable with before investing in either company.